Someone was walking through a park in Scotland when they noticed an abandoned stroller with a blanket over it. 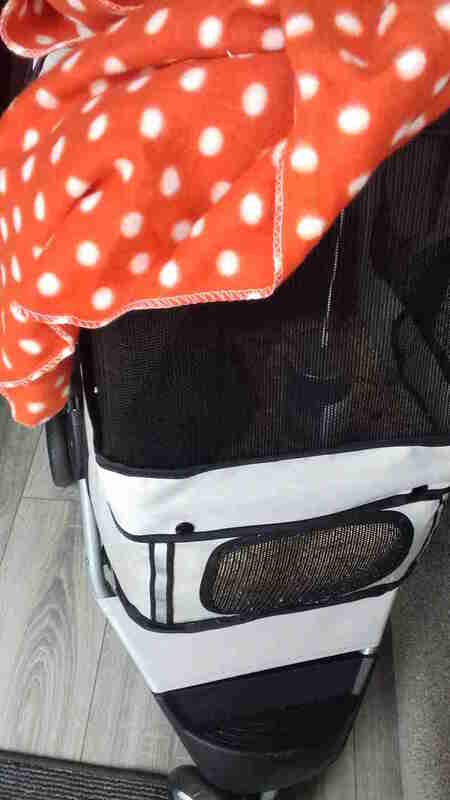 Mildly concerned, they decided to go over and investigate the stroller, peered inside — and discovered two guinea pigs, all alone and terrified. 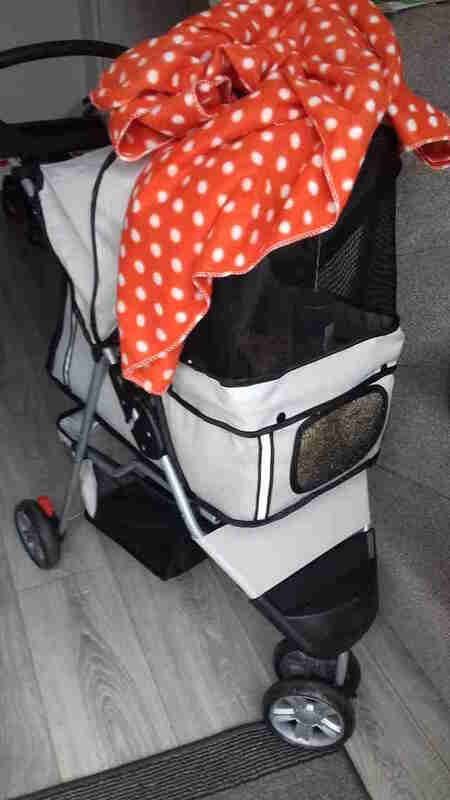 The guinea pigs were nestled in the bed of the stroller, with the hood and netting pulled down, but could still probably have escaped if they’d wanted to, which would have put them in even more danger. It was already nighttime when the guinea pigs were found, and so their rescuer had to wait until the next morning to call the Scottish SPCA to come and pick them up. Stuart Murray, a senior inspector with the Scottish SPCA, took the call and immediately drove out to rescue the poor abandoned guinea pigs. 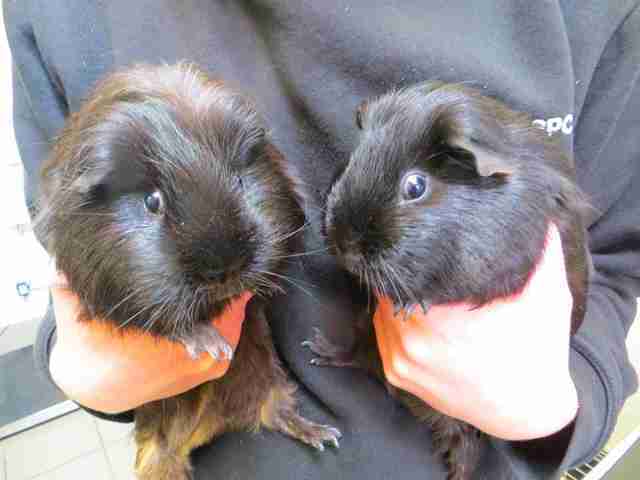 Murray brought the guinea pigs to the Scottish SPCA’s center in Edinburgh, where staffers decided to name them Bramble and Blackberry. The pair are doing well now, and will be loved and doted on until someone comes along to adopt them. “They will stay in our care until we find them the loving new home they deserve,” Murray said. Staff at the Scottish SPCA are appalled that someone would abandoned these sweet guinea pigs and are asking that anyone with any information about it contact them immediately. If you’re interested in adopting Bramble and Blackberry, you can contact the Scottish SPCA for more information.